Have you ever wondered about the abuse we put our hair through nowadays? bleach, colour, heat and products all take their toll. We are constantly on the look out for the next product or tool to make our hair look great, but in our attempts to look great we are actually screwing it up. 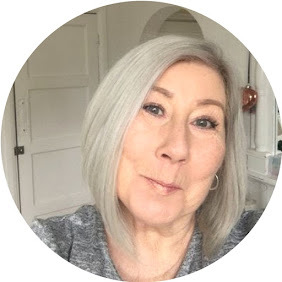 If you are a regular follower you will already know that my hair colour of choice is Silver Blonde by Colour Freedom, again from Knight & Wilson, so when I was offered the chance to try this repair product I was pretty excited to say the least. We all know of a certain hair treatment that is available in salons, costly and with mixed reviews, I have had the treatment once at a London salon and I have to say it worked beautifully at the time, I was however having every last inch of colour bleached to within it's life, so my head was probably grateful of any conditioner! Pureplex Hair Repair is a four step treatment to undo all the naughtiness we have put our hair through. Start by shampooing with the clarifying shampoo, the next step is a leave in treatment, this is like pouring water onto your head so be sure you are in the shower, or over a sink with a towel, leave for 5 minutes, next you add the reconstructing treatment which is like the worlds thickest conditioner, it smells lovely and spreads really easily, this you now leave for 15 minutes, at this stage I got out of the shower, next you rinse everything off and apply the conditioner rinsing as normal. I would definitely not do this in the winter if I had a cold bathroom, my least favourite part was the water like treatment dripping everywhere, that said it is totally worth it! my hair was left feeling softer with more shine, it did feel slightly heavy but this could have been me not rinsing as well as I should because the next time I washed my hair the result looked even better if that's possible. I absolutely love the idea of being able to treat my hair to what is in effect a salon treatment for a fraction of the cost. When I purchase this myself I am going to be a bit less generous with the product as I'm sure you could get 3 if not 4 treatments for short hair. I feel that this could now become a monthly or 6 week treatment that I could keep up, I'm sure my hair would thank me.